Dear garden lovers, we think the Dahlia is one of the most beautiful summer flowers! It has so many colors, shapes and..
varieties. They are very grateful and if you take good care of them, they will grow and bloom beautiful! 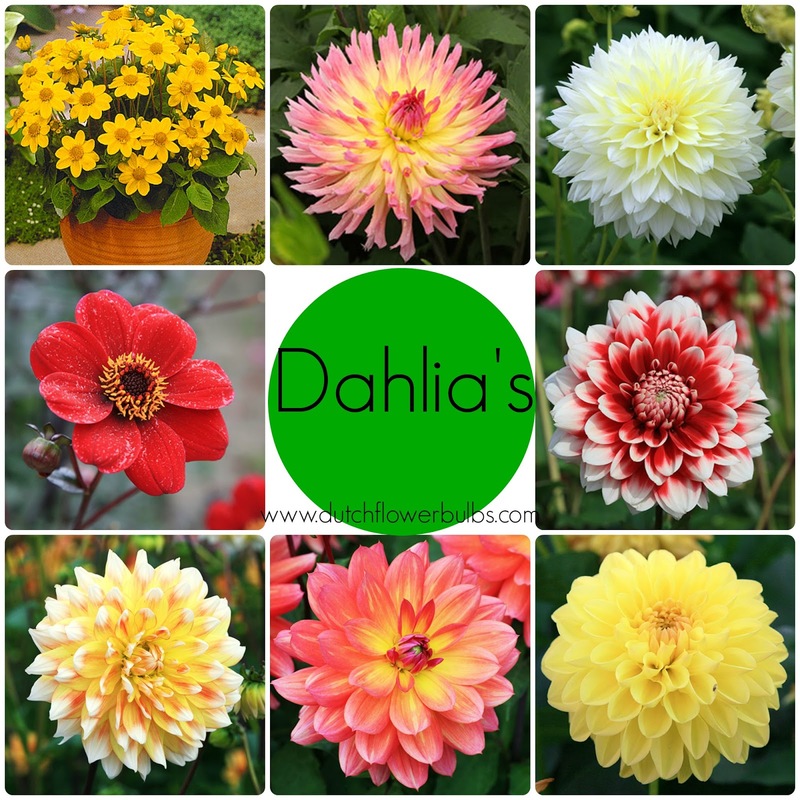 Dahlia's will grow in every kind of soil. Important though, the soil must be nutritious and well-draind but no to dry, so fertilize your garden before planting the Dahlia bulbs. Give them always a spot where they have tons of light, they do tolerate full sun. A few hours of shadow is okay, but to much shadow will cause a bad development of the flower. Dahlia's are not hardy, so plant them when the risk of frost is gone. The real tall Dahlia's must be supported otherwise they will bend and break. Cutting of old foliage will stimulate the growth of new stems and flowers, therefore you must remove the old flowers. It is important to water your Dahlia's very well, the soil must be moisted all the time. Enjoy your Dahlia's, they will brighten up your garden in the summer! Spring bulbs: how to plant them?